“Healthy Communities: Preserving the Workforce” is the theme of this year’s CWD and the event marks an important milestone, the 10th anniversary. Following a mandate given by the Heads of Government of CARICOM in 2007, people across the region have come together to commemorate this day every second Saturday in September; the aim being to promote healthy living and wellness among the citizens of the Caribbean and to reduce the incidence of chronic non-communicable diseases. This year is no different and it promises to be a day of festivities in the heart of the City of Bridgetown, as the Ministry of Health and Wellness and its partners, spread the message of 'Be Healthy, Stay Healthy, It's Your Job'. Dr. Janelle Bryan who is the chair of the newly formed National Task Force on Wellness said, "The goal is to educate and empower he adult working-age population in the various dimensions of wellness including physical, emotional, occupational, financial, intellectual and environmental." All are invited to come and visit the various booths and displays, and engage in the interactive activities that will be on offer from Heroes Square to Broad Street, which will be closed to vehicular traffic for the duration of the event. Among those joining in the activities this year will be the Heart & Stroke of Barbados, the Diabetes Association of Barbados, the Healthy Caribbean Coalition, Pharma Wellness International, CIBC First Caribbean Bank, The Schools Against Non-Communicable Diseases, the Breastfeeding & Child Nutrition Foundation, the Barbados Children Directory, Sandy Crest Medical Centre, Cancer Support Services, the Psychiatric Hospital and Brunswick Barbados. The event begins at 9 a.m and will run until 2 p.m. Minister of Health, Lt. Col the Honourable Jeffrey Bostic will also launch the National Task Force on Wellness at 10:30 a.m in Heroes Square. 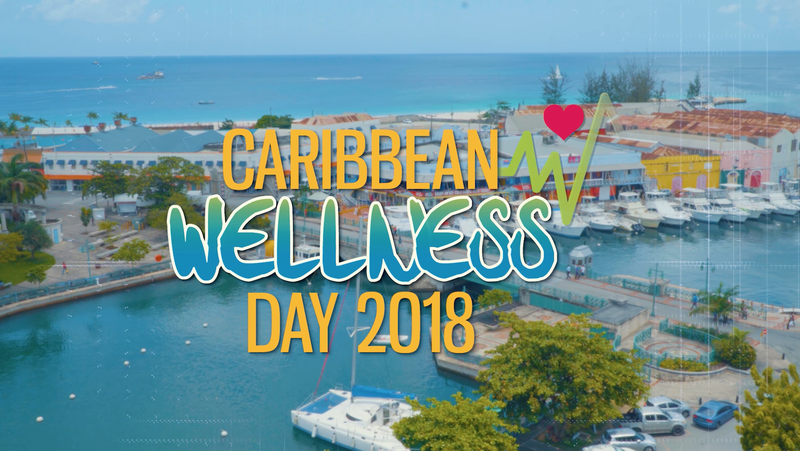 Caribbean Wellness Day (CWD) established by the CARICOM Heads of Government, commemorates their landmark Summit held on September 15, 2007 in Port of Spain, Trinidad to discuss the social and economic burden of CNCDs on the people of the region. CWD celebrated on the second Saturday in September promotes physical activity, healthy eating and elimination of tobacco use in order to reduce the risk factors associated with CNCDs.